New Zealand-born Rachel starred in several television series including Children of Fire Mountain (released on DVD in April 2010) during her childhood. She trained as a classical singer and while still a student was a finalist in NZ’s prestigious Mobil Song Quest. After graduating with a degree in music, Rachel worked as a singer/pianist and as a presenter of arts and music television programmes on TVNZ. Selected to represent New Zealand in the World Chorus at the Calgary Winter Olympics, Rachel sang the solo in David Foster’s theme song at the Opening Ceremony to a live audience of 40,000 and a TV audience of 2 billion people. Invitations to record programmes of pop songs for Radio New Zealand followed, one of them earning Rachel a Mobil Radio Award. After moving to London Rachel was in The Phantom of the Opera before joining a cappella vocal octet The Swingle Singers, whose albums she’d collected since childhood. She travelled with the group for four years, giving concerts in 25 countries and working as their Musical Director. Since leaving The Swingle Singers Rachel has given her own cabaret recitals in London and New York, and has appeared with Rambert Dance Company for two seasons as the singer in their Cole Porter ballet Elsa Canasta. Rachel’s current work as a soloist with orchestra has seen her perform with the Ulster Orchestra (Belfast), the RTE Concert Orchestra (Dublin), the Lahti Symphony Orchestra (Lahti, Finland) and the BBC Concert Orchestra (London), working with conductors John Wilson and Benjamin Pope. During 2012 Rachel made her debut with the Hallé, and sang again with the Lahti Symphony in a concert celebrating the career of Julie Andrews. Rachel also tours internationally with specialist ensemble Synergy Vocals (as she has done since they began in 1996 as a 4-member ensemble), collaborating with leading orchestras (London Symphony Orchestra, Boston Symphony Orchestra, Chicago Symphony Orchestra, New York Philharmonic) and conductors (Boulez, Robertson, Saraste, Harding). Together they perform in major venues throughout Europe and the United States including the Concertgebouw and Carnegie Hall. In the recording studio, Rachel has worked on the soundtracks of many movies including Lord of the Rings, Harry Potter, Shrek, Moulin Rouge, Transformers, Avatar, Alice in Wonderland, Nanny McPhee and Prometheus. She has also contributed to the albums of such diverse artists as Bjork, Missy Elliott, Mika, Keith Urban and Michael Jackson. 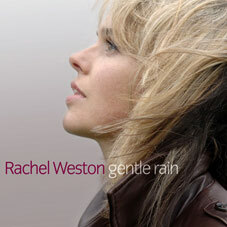 A solo album by Rachel – gentle rain – featuring standards by Gershwin, Porter and Berlin as well as ballads by Michel Legrand, Billy Joel and others – is now available to buy, or to download from iTunes and other digital sites.